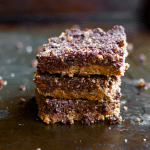 With 7 simple ingredients and a few minutes prep, you can make a healthy version of childhood favorite Whatchamacallit bar with this upgrade copycat Homemade Whatchamacallit recipe. On Valentine’s Day morning I asked my youngest son if he was “okay” with taking Fruit-by-the-Foot, thinking of course that it was a touch on the less junky side than the FunDip, etc., all the other kids would be bringing. He was overjoyed about it. He said he’d only had Fruit-by-the-Foot once and was excited about getting to eat it again. I just realized my kid thinks Fruit-by-the-Foot is superbly junky food and thinks it’s a big treat. Little Regan Miller circa 1983 would be SHOCKED at the current state of affairs around my house. When I was my son’s age, I’d had access to all the honey buns, Coca-Colas and candy bars my chubby little heart desired. One of the candy bars I do remember desiring back then were Whatchamacallits. While you still see classics like Snickers and Milky Ways every where you go, I’ve often wondered what happened to treats like Whatchamacallits, Mars and Zero bars. The truth is even if I stumbled onto a Whatchamacallit today, I’m not that likely to grab one for myself or my kids. But I am likely to serve up this homemade version instead. 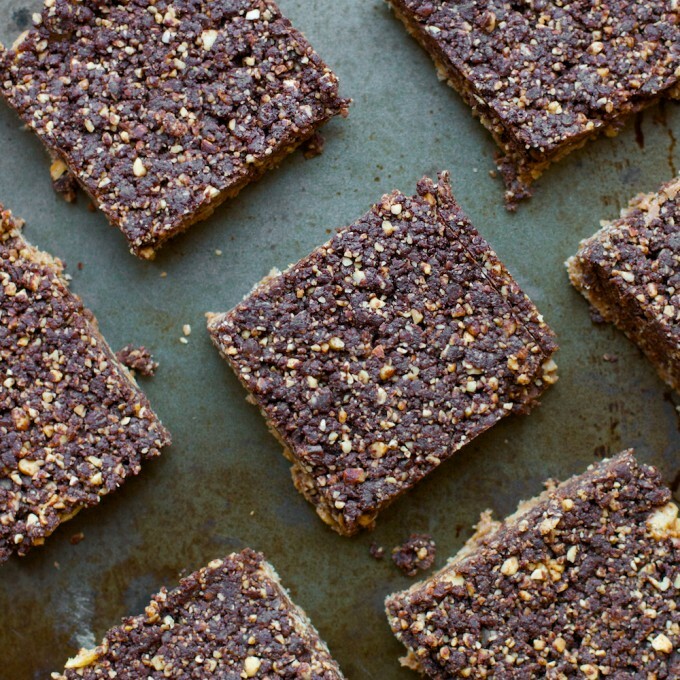 I developed it a few years ago as simply a healthy sweet treat. It wasn’t until after I tasted it that I was transported back to the years of Whatchamacallits. It’s not identical to the original, but I loved the crisp and crunch coupled with chocolate that made Whatchamacallits such a tasty treat. What about you? Are there any candies, treats or snack foods you remember from childhood that you never see any more? Let me know in the comments! Or connect with me @ReganJonesRD on Instagram, Twitter or Facebook. Or join the This Unmillennial Life Facebook and let us know! Coat an 8-x 8-inch baking dish with cooking spray. Warm peanut butter in a small bowl in microwave on HIGH in 15-second intervals until creamy and smooth; stir in cereal and 1 tablespoon maple syrup. Spread into prepared dish. Melt chocolate in a small bowl in microwave on HIGH in 30-second intervals until smooth; stir in remaining syrup; set aside. Pulse remaining ingredients in food processor until very finely chopped. Add melted chocolate to mixture in food processor. Pulse until combined. Spoon over peanut butter-cereal crust in dish and carefully spread to edges. Refrigerate until firm (at least 1 hour). Cut into bars. Store in refrigerator.